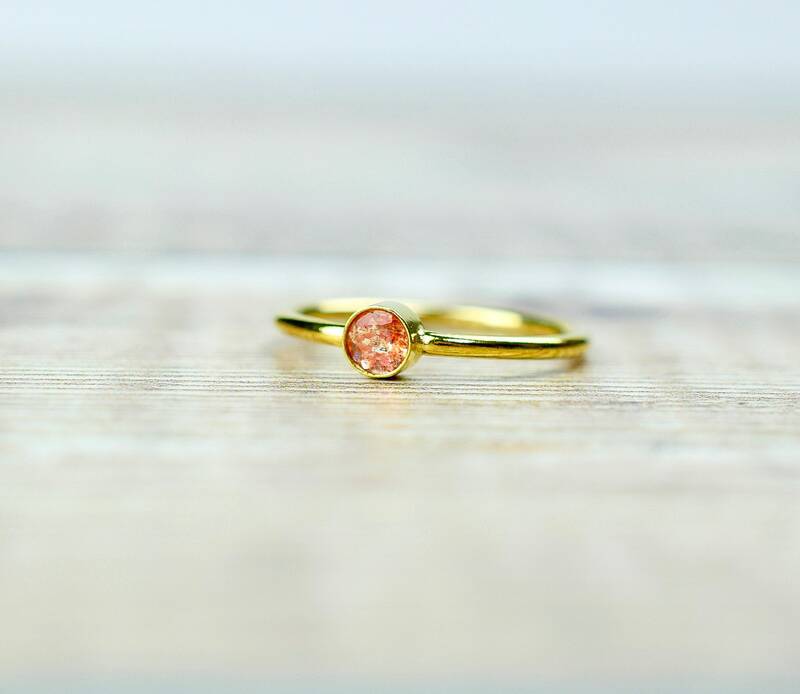 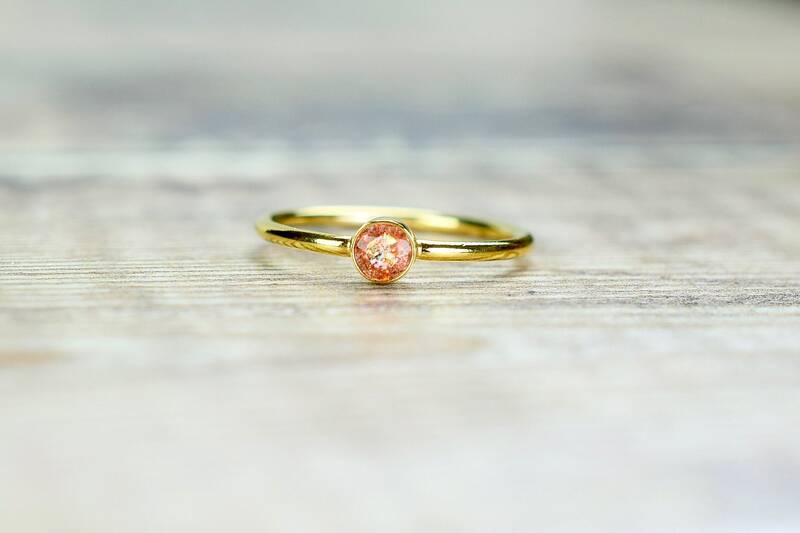 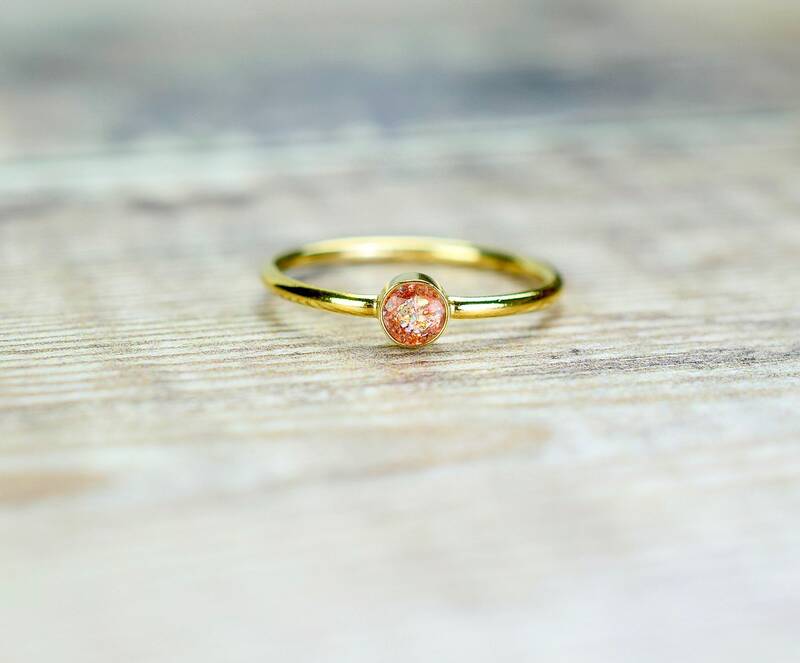 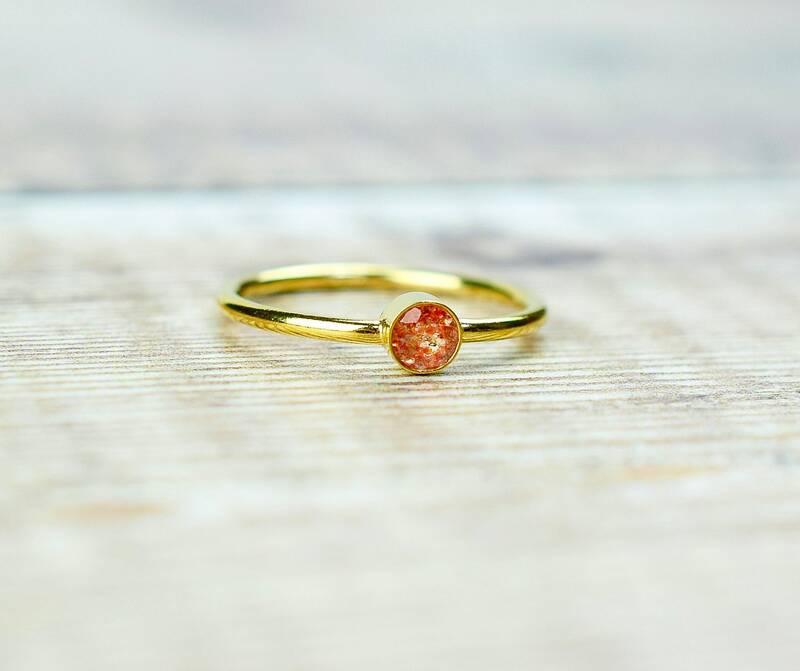 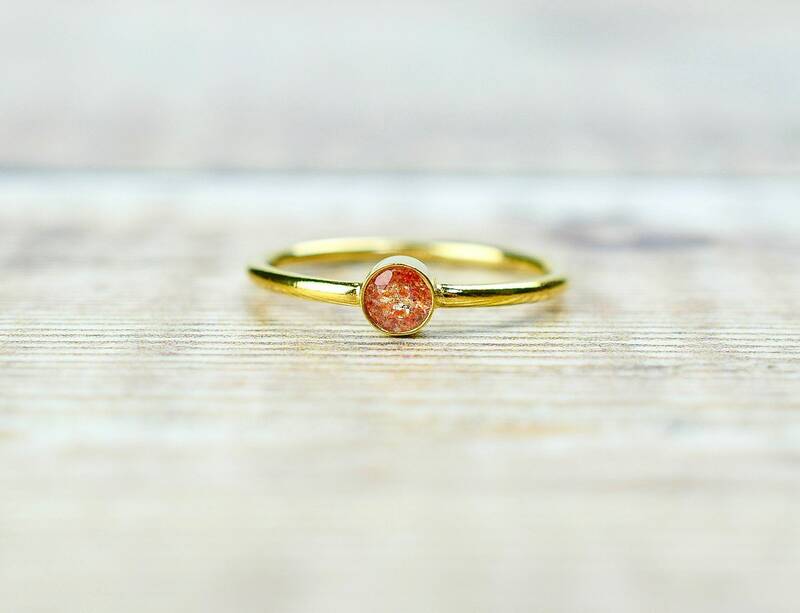 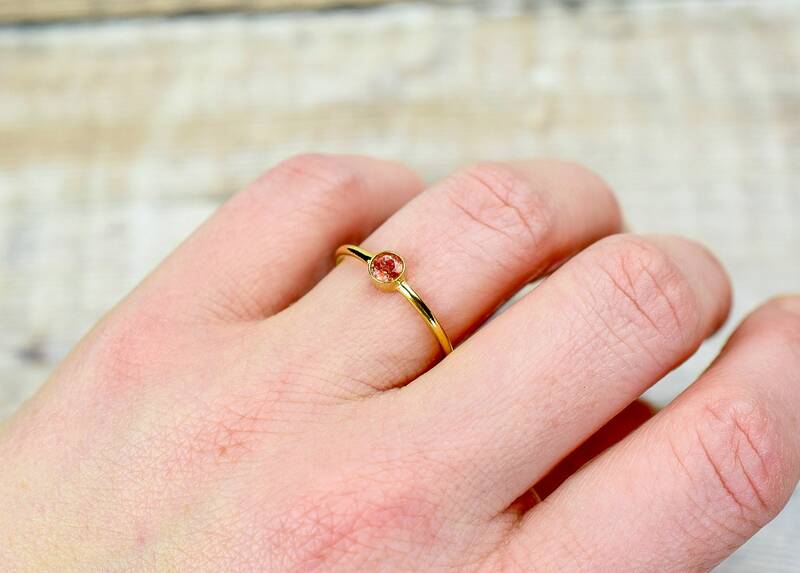 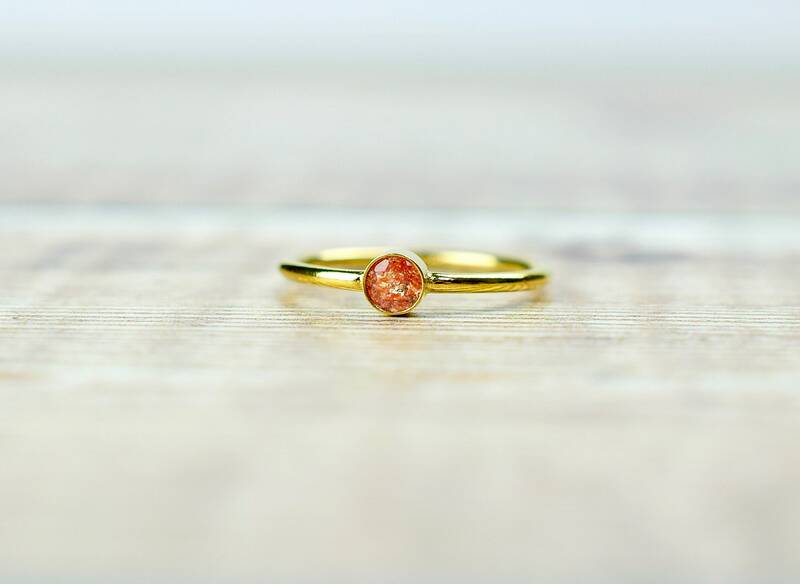 This gemstone ring is made from 14k gold fill and has been set with a 4mm Sunstone gem. 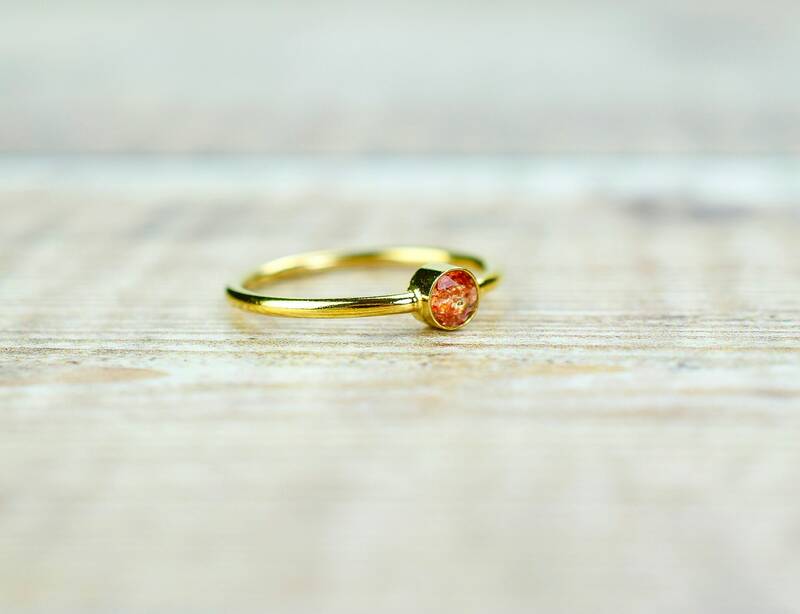 The Sunstone is pale orange with flecks of vibrant orange and contrasts beautifully against the gold setting. 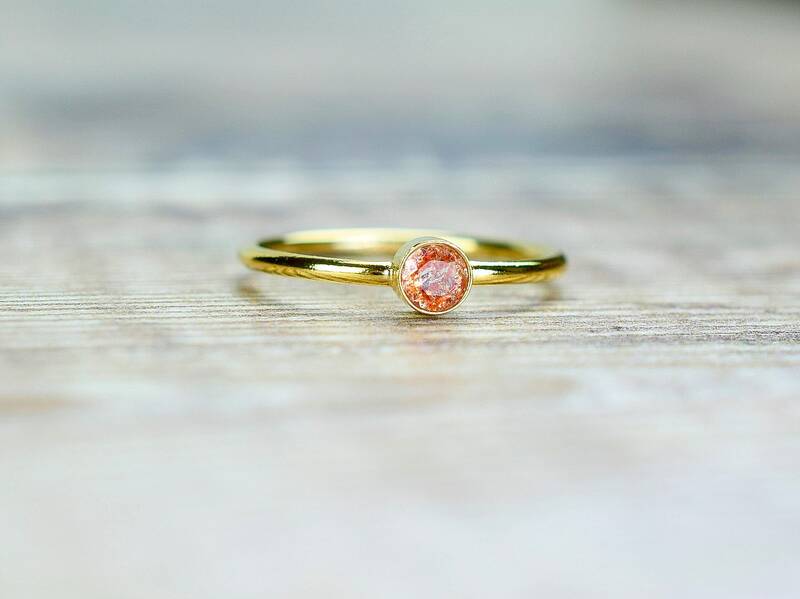 Sunstone is said to bring luck in all aspects of life!